If you've been given a removable retainer by Drs. Maoloni and Pope, you may be wondering how long you need to wear it. It takes time for the tissues and bones around your teeth to reorganize and set into place after braces treatment. The amount of time you’ll need to wear your retainer depends on your unique situation, but typically, retainers should be worn at least as long as the time you spent in braces. You might need to wear them full-time for a while, and then transition to wearing them only at night. Drs. Maoloni and Pope will have a treatment plan especially for you, and if you stick to it, you'll always have a straight smile. And this is precisely where retainers come in. 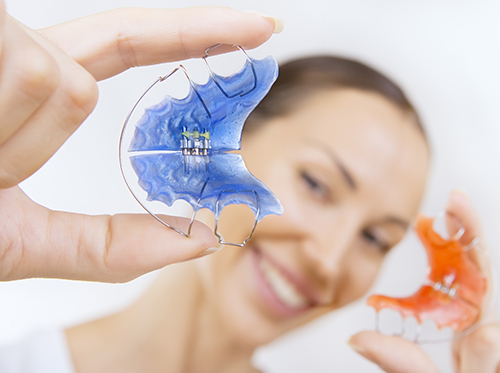 The only way to ensure your teeth stay in alignment long-term is by wearing your retainers. If you have any questions about retainers or your treatment plan, please ask any member of our Flossmoor and New Lenox, IL staff.